Well, this past Sunday’s event started out nicely—sunny skies and lots of autocrossers. 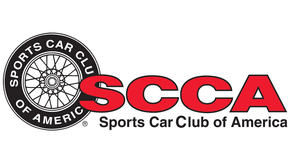 We ran the Civic with the Martin Sports Car Club, and they let us run the STS class that day. Two Civics would be in the class: ours and Super Dave’s. It looked like a fun course, and we may have had the lead after the first two runs. That’s about when the rain started falling. And it never really let up. The rain wasn’t so bad, but the lightning caused officials to call in the workers. We’d come in, the weather would let up, we’d go back out to work, and then it would all start up again. Eventually, those in charge canceled the event. Bummer. The ride home actually wasn’t that bad….